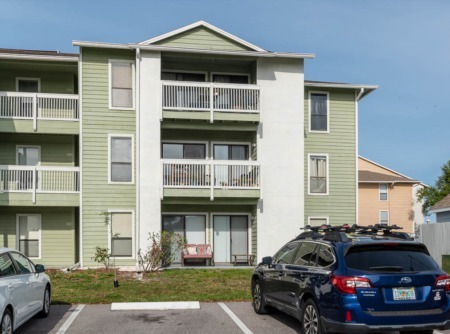 Wedge Wood of Palm Harbor is a quiet community of two story townhouse style condos located in the mid section of Palm Harbor in northern Pinellas County. This Palm Harbor real estate community was built in the late 1980s and has been attracting people ever since. A huge heated community pool and spa, tennis courts, and basketball courts are just some of the amenities offered here. Wedge Wood of Palm Harbor has two bedroom and two bath townhouses and as an added attraction it has fenced in private yards and patios. Homes for sale in this deed restricted community are affordable to own with prices ranging depending on size and amenities. Come and enjoy Wedge Wood of Palm Harbor's walking trails, fishing pond, playground and recreation center. Low monthly maintenance fee includes lawn care, sanitation, roof and exterior building maintenance, and more. There are so many beautiful shade trees in this community, it almost doesn't look like Florida but it is! If you are looking for a nature surrounding, come check this place out. Enjoy the Florida sunshine at the popular Honeymoon Island State Park and Dunedin Beach just five miles away. You can even walk to shopping here at Wedge Wood. 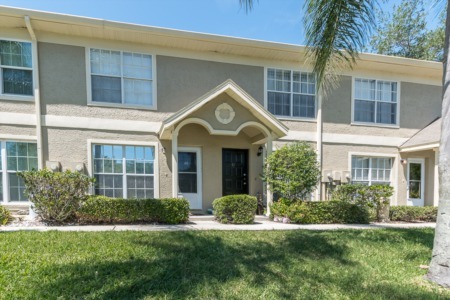 Wedgewood of Palm Harbor - 2 bedroom 2.5 bath Townhome tucked in the trees! Open Fenced Patio Great for BBQ's! Selling your home in Wedge Wood? If you're considering selling your home in Wedge Wood, contact one of our agents at Lipply Real Estate today! You can be sure that our agents will work with you on selling your home as quickly and proficiently as possible. Buyers are waiting for new homes to come available. Reach us at 727-314-1000 or by sending a message through the form below.